Looking for that perfect travel destination that offers fantastic attractions, dynamic shopping, vibrant culture and a sizzling nightlife? Look no further than Thessalonica, Greece. Located on the shores of the Thermaic Gulf, Thessalonica is a large city with an ancient history and one of the world’s best party scenes. As a popular tourist city, you can be confident that Thessalonica has plenty of hotel accommodations. With HotelDealSite, you can rest assured that you get the best hotel deals in Thessalonica. 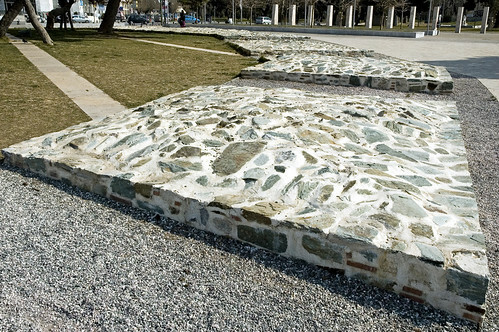 If you enjoy history, Thessalonica’s offers you a feast. With a history dating back 3,000 years, this city is a treasure trove of historic structures. In the Old Town, you can see the Byzantine walls and the city’s symbol, the 16th century White Tower, dominating the waterfront. In the Upper Town, you can walk along cobblestone streets to admire stunning old churches, Roman temples and traditional houses. Roam around the city’s largest plaza, Aristotelous Square, or check out the nearby Turkish baths. Lined with plenty of restaurants, bar and shops, the city’s picturesque promenade is a popular hangout where you can fish, cycle, skate, shop, dine or just enjoy views of the waterfront. Thessalonica offers exciting shopping choices. If you want to find name-brand items and designer clothing, the popular districts of Tsimiski Street and Proxenou Avenue are famous for their international and high-end stores. However, if you are looking for a bargain, the shops on Egnatia Street may be a better option. Whether you plan to buy anything or not, the city’s colorful food market is a must-do. You can browse among hundreds of stalls here selling the likes of fresh produce, meats, seafood, herbs, spices and flowers. Due to the city’s extensive history, you will find a number of museums in Thessalonica stuffed with fascinating artifacts and art works. The Museum of Byzantine Culture and the Archaeological Museum of Thessalonica are two of the most outstanding choices.The city also offers theater and live performance venues like the Thessalonica Concert Hall located on the waterfront. Thessalonica’s nightlife is second to none. Home to two of Greece’s largest universities, the city is abundant in students from all over the world. As a result, you are sure to find choices to suit your every taste and budget. From traditional taverns to trendy bars, lively nightclubs, discotheques and parties, the city has it all. There are even boats here called floating bars that will take you on a trip around the Thermaic Gulf while you enjoy drinks, socializing, music and dancing. Because of its location, Thessalonica is a superb destination for yachting and sailing. If you enjoy sailing, the city has several marinas that rent out yachts. Additionally, you may be able to watch one of the many yachting races that occur several times a year here. Summers in Thessalonica are hot and humid with occasional thunderstorms while winters are chilly and foggy with sporadic snowfall. Spring and fall present the best weather. Begin your exciting trip to Thessalonica now by checking out the hotel deals online.